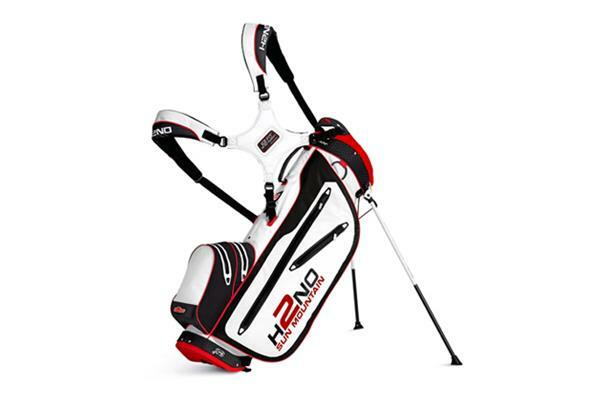 The Sun Mountain H2NO Lite is a mid-size stand bag that provides waterproof protection in a lightweight package and includes full-length dividers, five pockets that all have waterproof zips and taped seams. Wonderful lightweight carry bag, and if you want a waterproof one then you can't get better, as all the Zips are waterproof. I did however find that the bag did create a pool of water on your back where it sits on your back. Not great if your wet from that afterwards. Also beware of the colours chosen, the yellow version is a magnet for flies in the summer! Other than that it's a great bag, nice pockets and does what it says on the tin!